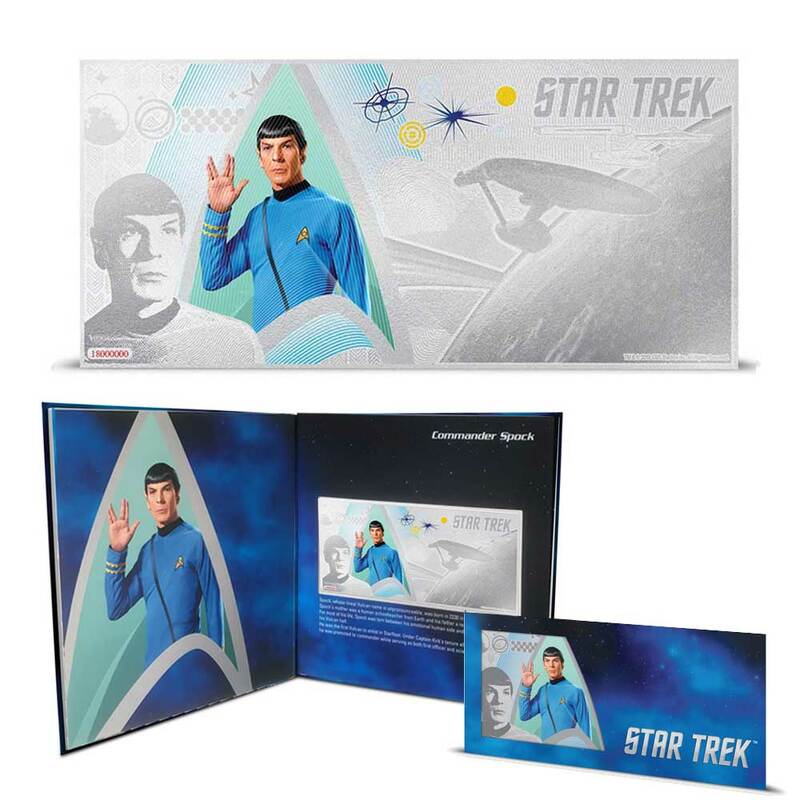 STAR TREK: THE ORIGINAL SERIES 2018 Niue 5g silver note set: The hardcover Star Trek Original Series Collector’s Album, included with the purchase of the first silver coin note – Captain Kirk, features a page for each of the seven notes in this collection including Spock, McCoy, Scotty, Uhura, Sulu and Chekov. 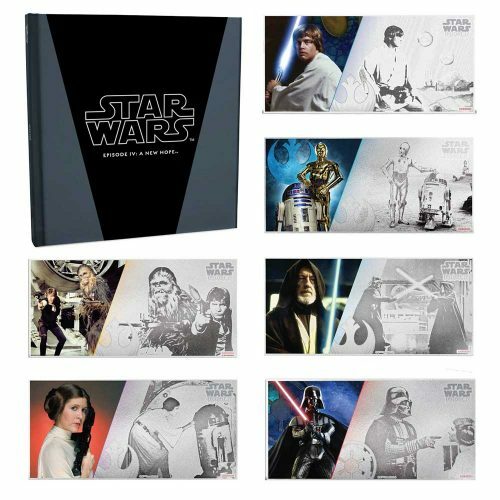 Each page is designed to complement the corresponding silver note – including a biography of each character. 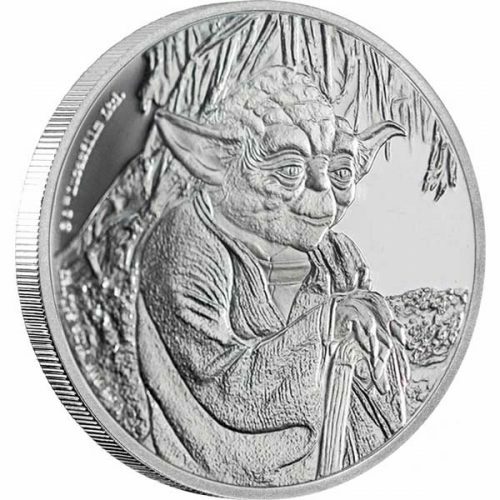 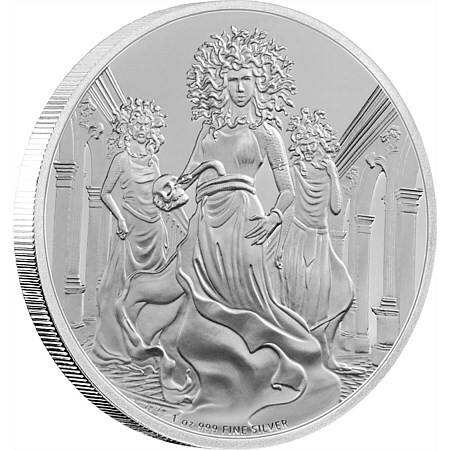 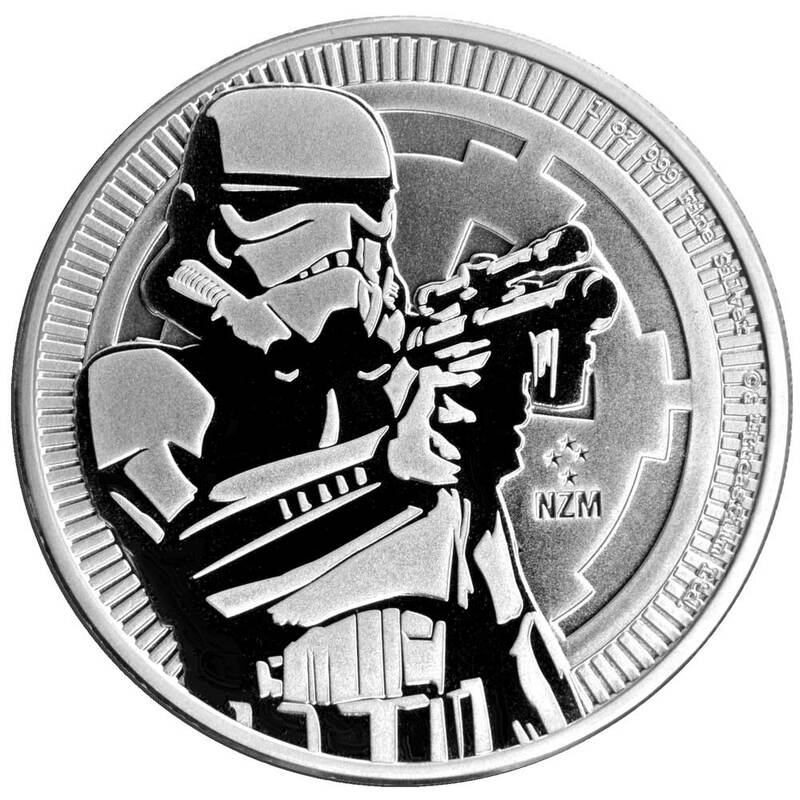 Theses striking 5g pure silver coin notes feature collaged images of the iconic characters from the TV series Star Trek: The Original Series. 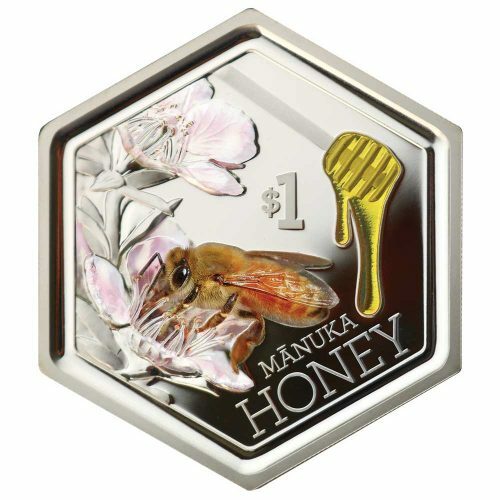 The combination of engraving and colour printing creates an interesting dimension. 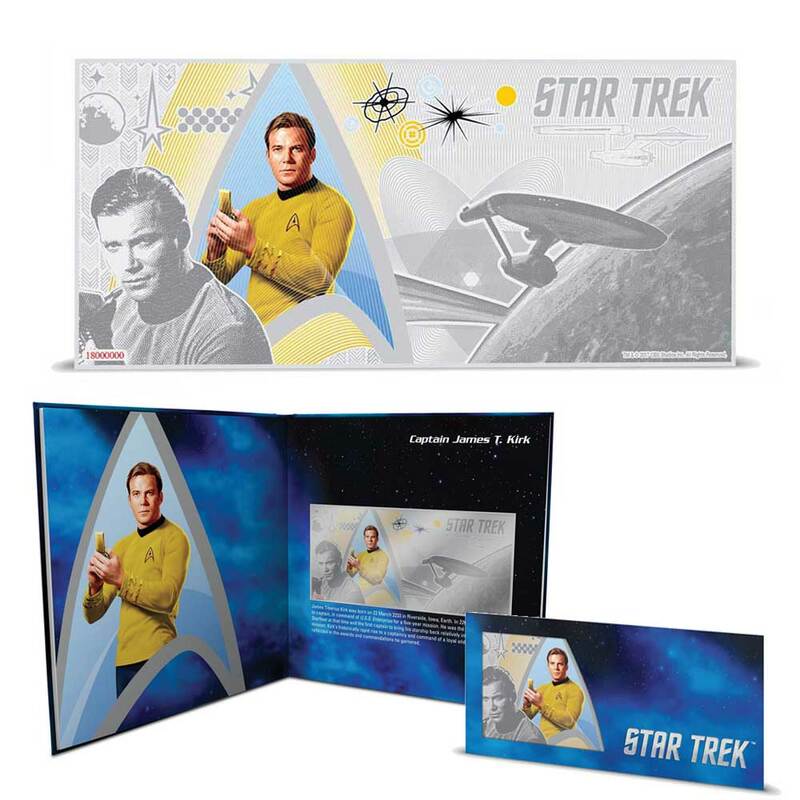 Each note is presented in a Star Trek themed protective sleeve. 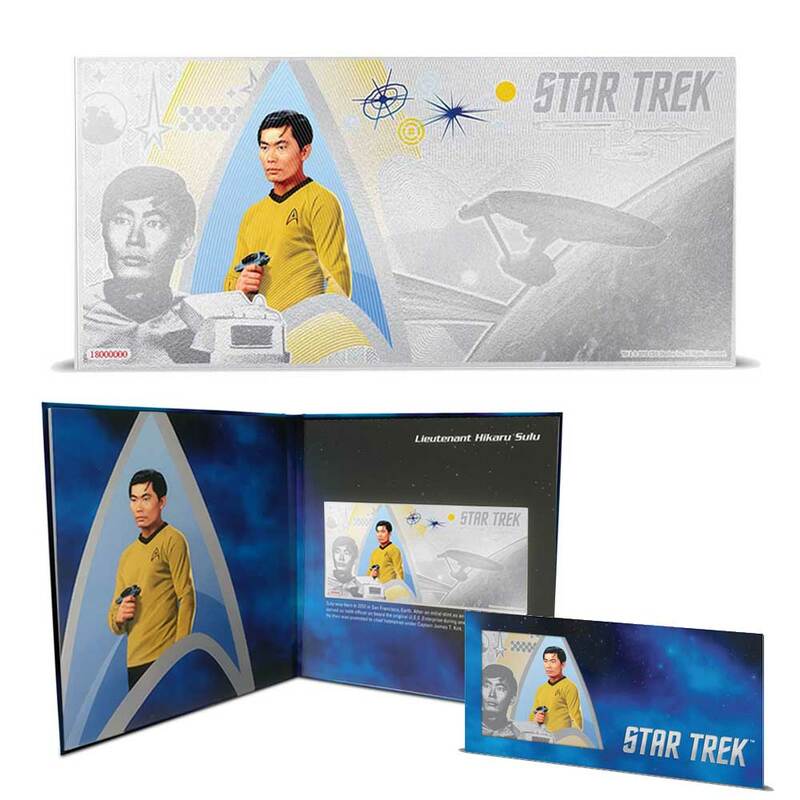 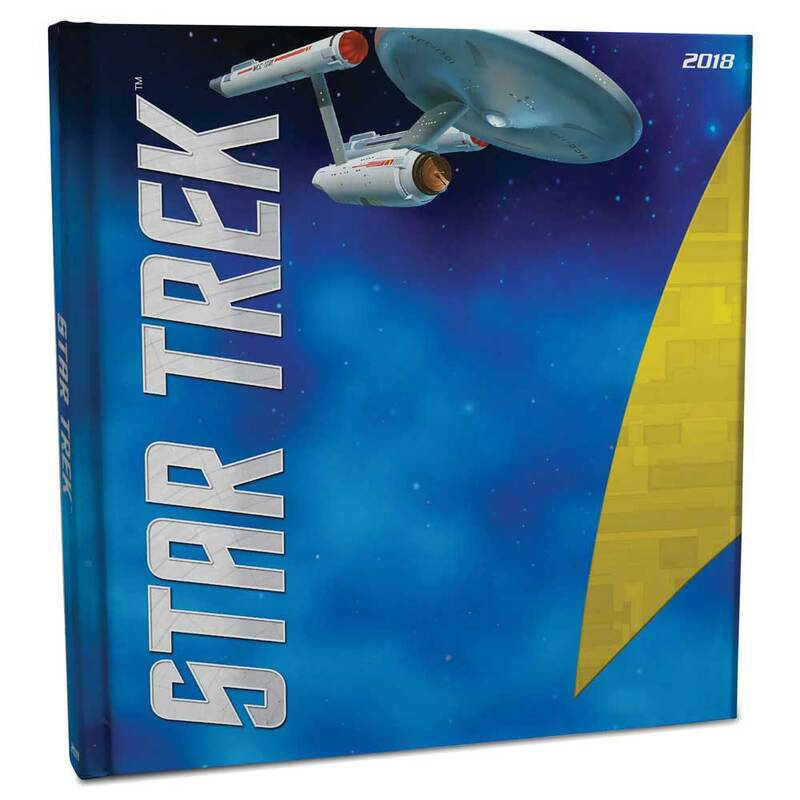 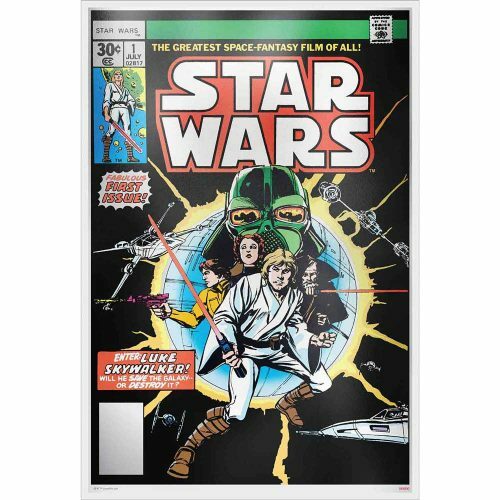 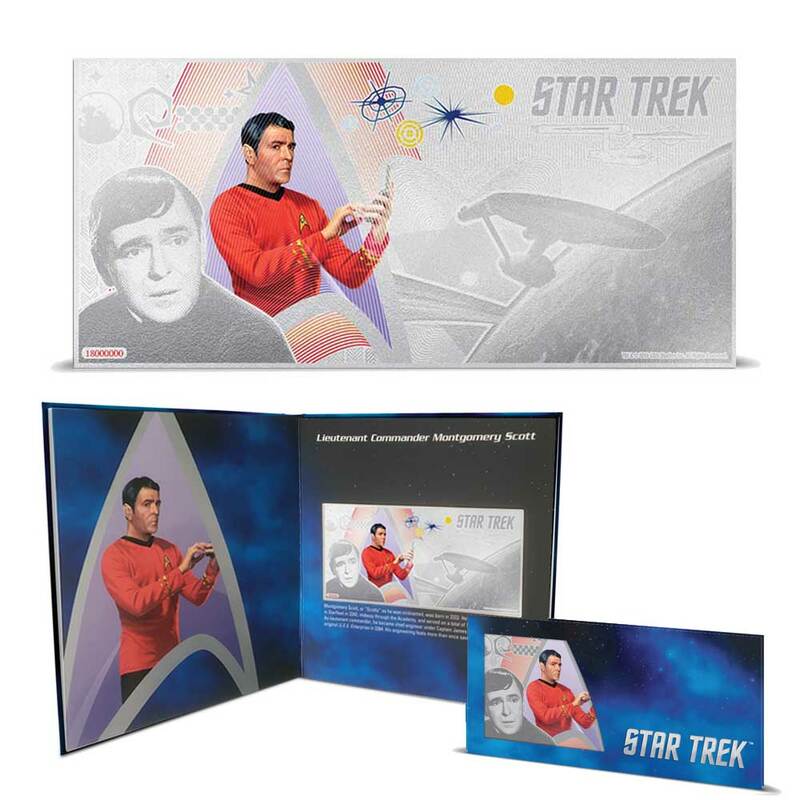 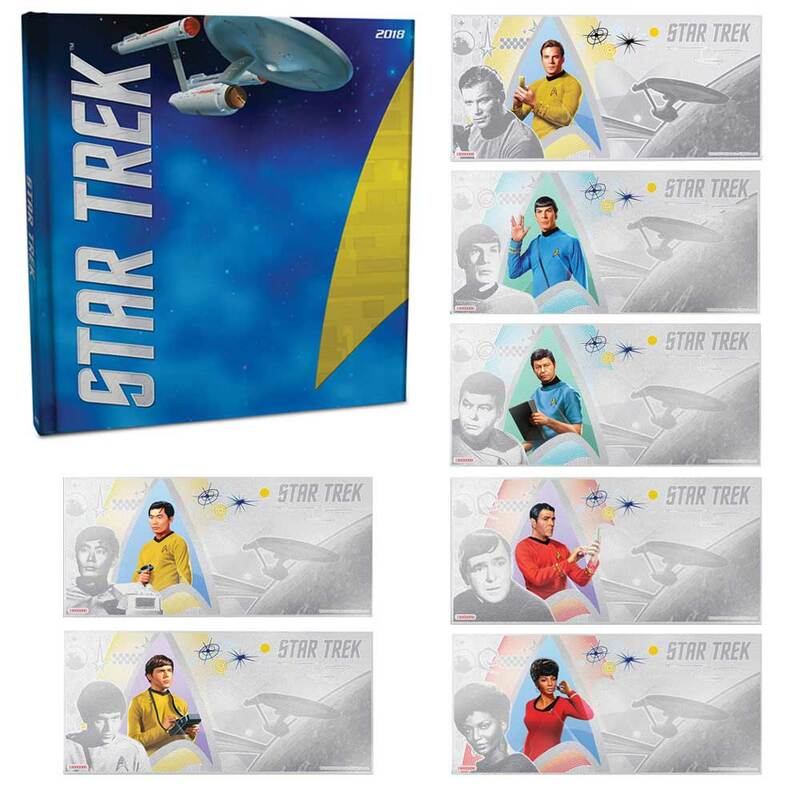 Please note the first coin in the series comes with a free Star Trek: The Original Series collector’s album (this is not included with any other note except the first Captain Kirk one).